Divorce is messy. It deals with the fear of the unknown. It is a roller coaster of emotions. The details of the process can mean numerous personal calls during office hours. The overwhelming emotions can mean distraction and not handling work professionally. Clients might be lost. How can you prevent your divorce from making you a mess at work? Go to a support group like Second Saturday where you can find the best professionals in their field and gain knowledge about the divorce process. Here you can have your questions answered for FREE by a panel of people with direct understanding of separation and divorce. 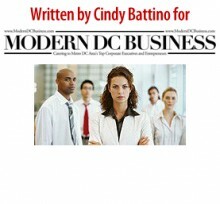 (There are two in the Metro DC area – Alexandria and Fairfax, Va – http://www.secondsaturdayfairfax.com/). There more you know, the better you will fare. Make a list of the professionals you need to get through your divorce. Hire an attorney that is known to be great among his/her peers and comes through a personal recommendation. Consider a financial planner that can help you understand the financial repercussions. A family therapist for you and your children will go a long way to bring healing to everyone. Other professionals to consider: realtor, personal trainer, insurance agent, custody specialist, professional organizer, private investigator, life coach, and business coach. Make sure that you are not hiring the good professionals. Make sure you are hiring the best. Why? This way you can compartmentalize the journey and trust the people you hire to have your back and do their jobs. The “best” might cost you more on an hourly basis, but because they are the best, will do their jobs efficiently and cost you less in the long run. The “best” will allay worry and anxiety that you will come out the victim in this process. Setting a boundary with friends, family and the professionals you hire to only contact you during non-business hours (unless there is an emergency) is essential to keep you focused at work. Compartmentalizing this messy process will make certain your day will not be fraught with emotions and frustration. Use your blue tooth and commute to your best advantage. Carve out time at lunch – away from the office. Make an agreement with your spouse that you will only discuss the details of the divorce at a location that is not at home or work. This is a clean way to keep it out of your sacred spaces (homes) and away from your children (small ones have big ears). Maybe you have meetings at the local Starbucks. By having your negotiations in a public place there is incentive for you both to behave in a business-like and rational manner. If you both can’t keep the emotions at bay, let the attorneys hash it out. Don’t be afraid to ask for help. The support of friends, family, and professionals can make a significant difference in how you get through this time. Divorce is a loss model and you need healthy ways to vent, process, and grieve. Therapists and life coaches are trained to listen while you talk, yell, cry and deal with your anger, betrayal, rejection, bitterness, and frustration. They are a healthier outlet than even friends and family. Friends will get tired of hearing the same old, and family may want to take sides and fuel the flames of victimization. Finally, whatever you do, don’t use your attorney as your “go to” counselor. They are not therapists and your divorce bill will go through the roof if you email and call them daily with your emotional distress. Personal Trainers are a great way to take good care of your physical body and release the anxiety and angst. With exercise you get a “two-for”. Exercise not only releases those feel good hormones, it also helps you work through emotional and physical stress. Why hire a personal trainer? There will be days that you will be feeling depressed. Having an appointment with a trainer makes you accountable – depression or no. You will feel better after the workout and will thank the trainer for making you show up. Mental health days. A weekend away. Time away from the people and the process. By taking some time for you when you can’t stay focused and are not at the top of your game, is good self-care. Get away to lick your wounds, have a pity party, and do it in a place where you can’t take out these feelings on your spouse or be unproductive at work. A walk on the beach is cathartic and healing. Turn off your phone and take a hike through the mountains. Go camping and get unplugged. It’s ok to need time to heal, grieve, and find your way. So that you can stay focused at work during your divorce, go to a Second Saturday program, hire the best professionals, compartmentalize the process, get the support you need, and take time for you during this tumultuous time. Your boss, your children, and YOU will thank you in the end.